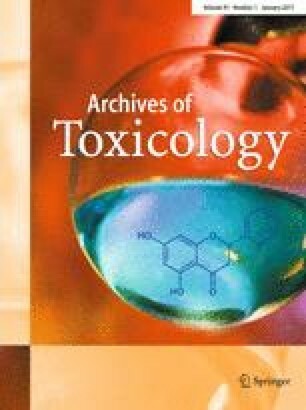 Neurotoxicity and developmental neurotoxicity are important issues of chemical hazard assessment. Since the interpretation of animal data and their extrapolation to man is challenging, and the amount of substances with information gaps exceeds present animal testing capacities, there is a big demand for in vitro tests to provide initial information and to prioritize for further evaluation. During the last decade, many in vitro tests emerged. These are based on animal cells, human tumour cell lines, primary cells, immortalized cell lines, embryonic stem cells, or induced pluripotent stem cells. They differ in their read-outs and range from simple viability assays to complex functional endpoints such as neural crest cell migration. Monitoring of toxicological effects on differentiation often requires multiomics approaches, while the acute disturbance of neuronal functions may be analysed by assessing electrophysiological features. Extrapolation from in vitro data to humans requires a deep understanding of the test system biology, of the endpoints used, and of the applicability domains of the tests. Moreover, it is important that these be combined in the right way to assess toxicity. Therefore, knowledge on the advantages and disadvantages of all cellular platforms, endpoints, and analytical methods is essential when establishing in vitro test systems for different aspects of neurotoxicity. The elements of a test, and their evaluation, are discussed here in the context of comprehensive prediction of potential hazardous effects of a compound. We summarize the main cellular characteristics underlying neurotoxicity, present an overview of cellular platforms and read-out combinations assessing distinct parts of acute and developmental neurotoxicology, and highlight especially the use of stem cell-based test systems to close gaps in the available battery of tests. Béla Z. Schmidt, Martin Lehmann, and Simon Gutbier have contributed equally to this work. This work was supported by EU FP7 and H2020 projects (EpiHealth, HEALTH-2012-F2-278418; EpiHealthNet, PITN-GA-2012-317146, STEMCAM, PIAP-GA-2009-251186; STEMMAD, PIAPP-GA-2012-324451, EU-ToxRisk H2020-PHC-2015-681002), the Research Centre of Excellence 11476-3/2016/FEKUT, the NIH transformative research project on ‘Mapping the Human Toxome by Systems Toxicology’ (R01ES020750), the DFG (KoRS-CB, RTG1331) and the BMBF (Neuritox). B.Z.S, M. Lehman, E.N., H.X.A., J.K., and A.D. had been or are involved in a company that produces iPSCs, does neural differentiation, and has a commercial interest in the field of (developmental) neurotoxicity testing and stem cell products. S.N. is married to B.Z.S. T.H. is cofounder of Organome LLC, the licensee of a provisional patent filed by Johns Hopkins University for a human mini-brain mentioned in this paper (inventors David Pamies, Helena Hogberg and Thomas Hartung). L.S. is married to T.H.